"Well informed, thoughtful, compassionate, and thorough. It's like being at home with someone you have trusted since birth. Recommended." "I was really lucky to have found Dr. Caraza for my first acupuncture experience! Like so many others, I’ve always been a bit antsy around needles and doctors since I was young. However, I was curious about acupuncture especially when I learned from my friends’ positive experiences with acupuncture and how acupuncture helped control their pain and addressed their health concerns. From my first appointment, I loved coming into the office. Every appointment, Dr. Caraza actively listens to my concerns and gives advice to help with the cause of my health issues instead of just the symptoms. I am so glad I’ve finally started taking preventative steps in improving my overall health. Since I’ve been so happy with the progress of my treatments, my entire family has followed suite and has come to the office every week for the past 4 months. Dr. Caraza was actually the first medical professional to determine that my sister was lactose intolerant after my sister complained of continual stomach aches. The next month, the diagnosis was confirmed from a saliva test and my sister hasn’t had a single stomach episode since she’s learned to avoid dairy. Similarly, my dad has had continual hip pain from sitting too long for to many years at work. After one treatment in his hip, he said he hasn’t felt so much relief in that area. I’m incredibly grateful to have found such a competent and compassionate healthcare professional to look over my family's and my health. Thank you, Dr. Caraza!" "Dr. Caraza is the best! She is so amazingly caring and talented! I have gone in several times to see her for chronic back pain as well as neck pain and stiffness. Every time I go in, she spends a lot of time with me and tells me exactly what is going on! Nia, the massage therapist, is phenomenal in her style and has been the perfect complement to treat my pain. My pain has diminished from everyday to once every other week thanks to their efforts!! The office is warm and comforting and I know I am in the right place as soon as I walk in the door! Thank you, Dr. Caraza and Nia for all of your help! Highly Recommend!!" Dr. Ha is amazing! I initially went to her for acupuncture to help induce labor. I believe it was 3 sessions that did it for me. Then after I gave birth to my son, I went to her again for acupuncture to help increase my milk supply. Again, I believe it was about 3 sessions that I needed to get my supply up. What impressed me the most about Dr. Ha was how much she truly CARED about helping me. In both instances for me, she made sure to get me in right away, as she could feel my sense of urgency. Then once I was there, she really listened to me and any concerns I had. Then she would make a detailed game-plan for how we were going to get things going. On top of all of that, she would call/text me to make sure everything was going okay! Amazing customer service! I haven't even gone to her for any chiropractic needs yet, but when I'm in need of any, she will be the first person I call! "I had my first appointment with Dr. Ha today to help relieve back pain and lower my blood pressure. It was a very enlightening visit, to say the least. Dr. Ha listened carefully, asked questions and together we came up with a plan. The first treatment made me feel extremely relaxed then later energized. I am looking forward to my next appointment and a life without back pain. The office is very nice, easily accessed and part of the overall great experience." 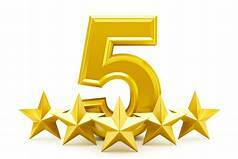 "Dr. Ha is amazing, she is very caring, her knowledge of Acupuncture, and Chiropractic is the best." "Awesome experience, left feeling great and felt welcomed. They are not pushy, I would recommend them to anyone honest and great." "I have been going to Elements of Wellness for almost 2 years. I turned to acupuncture because I was getting sick almost all the time. I knew it was mostly due to stress and my environment. However, I was tired of taking over the counter medicine and wanted a more natural healing method. Over the next few months Dr. Caraza did acupuncture to alleviate pain and improve my immune system. Just after a few sessions I already started to see improvements. Acupuncture has helped me with muscle pain, allergies, recenter my Chi, digestive issues, etc. The herbal medicine she has provided me has helped with depression and digestive issues. I highly recommend anyone even curious about acupuncture or herbal medicine or essential oils to go to Elements of Wellness. They are very knowledgeable and it is always a peaceful and healing experience!!" "Dr Caraza has been instrumental to my healing. She is a wealth of knowledge and so supportive. The fact that her office has multiple modalities means that each visit is tailored to what my body needs. She is always so thorough, but will also tell me when my body is doing well. I can not recommend this office more." "Dr. Caraza is awesome! Her wonderful caring nature coupled with her incredible knowledge & acupuncture skill has helped ease away my pain from headaches, stress & backache. She truly cares, listens to her patients and works to ease your pain. I tell everyone I know just how wonderful she is! And if you're looking for a great massage, then you must meet Nia, massage therapist. The absolute best massage I've ever had! Elements of Wellness is my Zen, love it! I can't thank her enough for helping me!! "I've been seeing Dr. Ha for Acupuncture and occasional chiropractic treatments for almost 2 years for pain associated with chondromalacia and tendonitis of both knees, cervical herniated disc, and plantar fasciitis. During our first appointment she took the time to obtain my medical history-truly listening and asking questions with regard to everything affecting my health. Nothing like my other doctors! At each visit, Dr. Ha treats my greatest areas for concern that day while making sure I am comfortable throughout the entire treatment. My experience is always pleasant. In fact, during the first few treatments, I felt so relaxed I nearly fell asleep! The atmosphere in the office is very clean and spa-like with essential oils and relaxing music. Dr. Ha truly goes above and beyond for her clients. I highly recommend her practice to anyone!" "Dr. Ha is the only chiropractor/acupuncturist I trust to treat me. I'm terrified of needles, but she put me at ease and I experienced great benefits from her treatments! She's friendly, knowledgeable, professional, and trustworthy. I highly recommend Dr. Ha to anyone suffering from pain that is not alleviated through conventional treatments." "Dr. Ha Is by far the most amazing acupuncturist. I went to this location and I was so impressed with their customer service And overall commitment to providing an amazing level of care. This was my first experience with acupuncture and also cupping. I am also scared of adjustments. Not to worry I was totally at ease and even found the care to be enjoyable. I highly recommend Dr. Ha for any and all of your wellness needs." "Awesome treatment love the service and caring that is given and healing without the use of pills that are standard in the industry of health." Dr. Caraza is amazing! She regularly evaluates my progress. She tailors the treatment to my individual needs. She is amicable, professional, highly qualified and listens. I cannot stress enough just how much it means to have someone, who is treating me, listen to my concerns and needs. The treatments themselves have helped quite a bit for chronic pain. In addition, the tranquil and serene environment provided, is great for stress relief and aids in relaxation. I highly recommend Elements of Wellness to anyone looking for these types of services. "Dr. Caraza is amazing! She is a wealth of knowledge and information. That, combined with her bright personality and kind compassionate manner make an incredible doctor. She has been my chiropractor and acupuncturist for years. I recommend her very highly." "If you are considering going and have never been, it’s 100% worth your visit. I regularly visit Dr. Ha to do acupuncture and have been going for almost a year now. Dr. Ha is fantastic. She listens and takes into consideration your preferences and needs. She is extremely kind and gentle. There have been a few times where I told her I was uncomfortable and she goes above and beyond to make sure I am happy. Their office is clean! It’s also very peaceful and has various rooms, which is a nice change every visit. It’s a professional establishment and great location. I highly recommend going here !"